Strawberries, the most loved fruit by more than half of the world! Everything about a strawberry makes it loveable. The sweetness, the luscious red color and the smell all combined together, makes people always choose strawberries over the others. 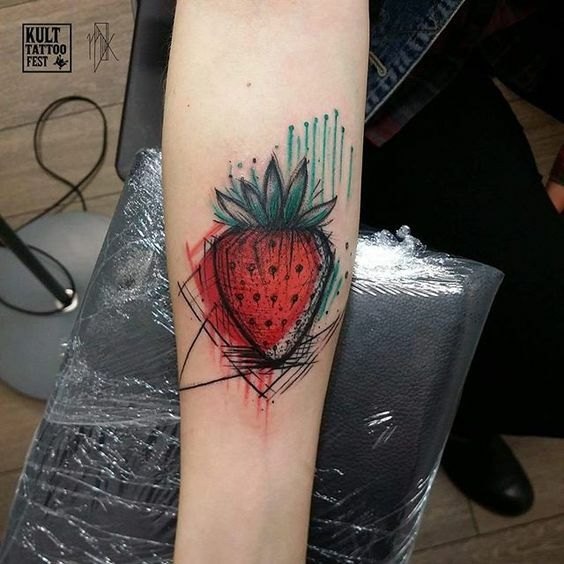 There are many areas where strawberries or strawberry flavor is preferred, for example fragrances and desserts and milkshakes, but some like to take their love for strawberries to another level by exploring the unique and beautiful strawberry tattoo ideas. 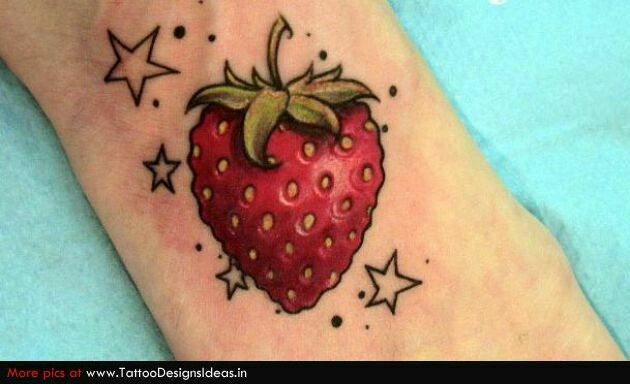 When you’re thinking strawberry tattoo designs, there are lots of images that can pop up in your mind about getting this red romantic fruit inked on your body. 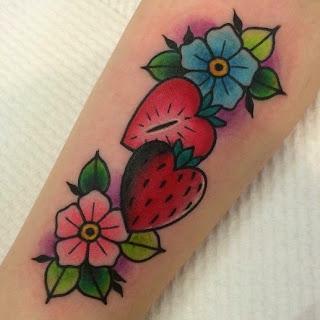 Strawberry tattoo is also becoming a popular choice among woman these days because they feel that they are expressing themselves at some level through a strawberry tattoo. 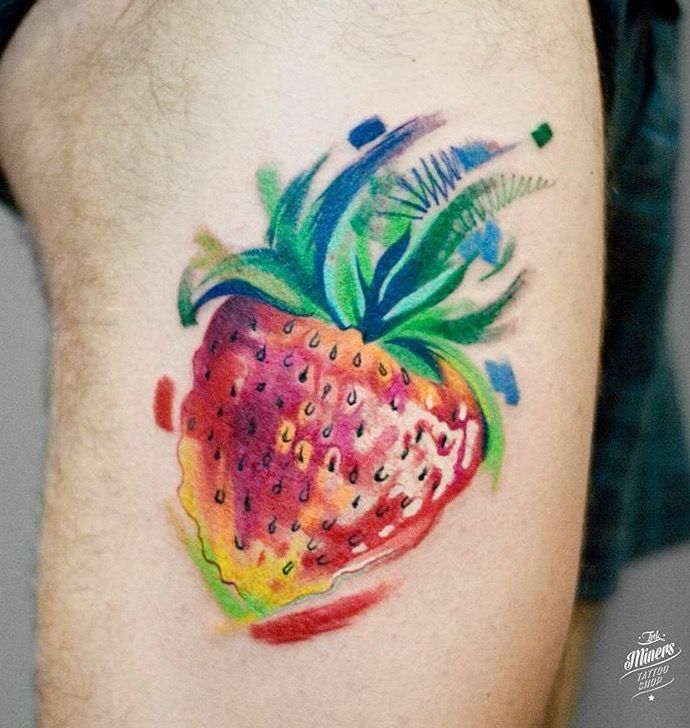 But before you get to that, allow us to tell you about a special strawberry tattoo meaning and what inspires people to get a strawberry tat on their body. Keep reading below to find out. 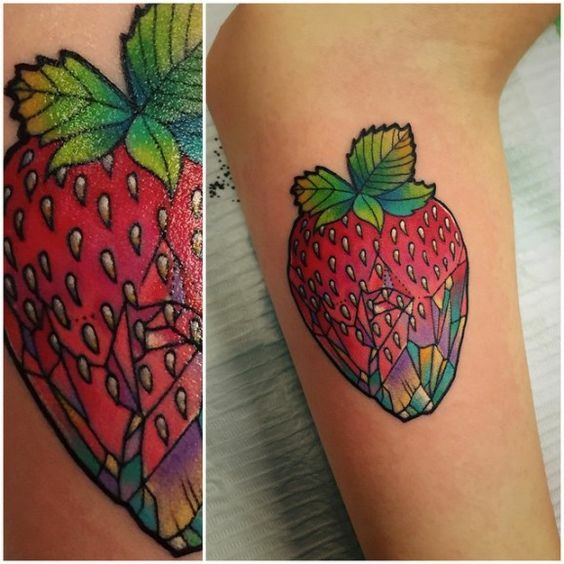 The connection between strawberry tattoo designs and love goes a long way back. Maybe because strawberries are red and red is also the universally accepted color of love or the fact that the shape of strawberry is very much like that of a heart. 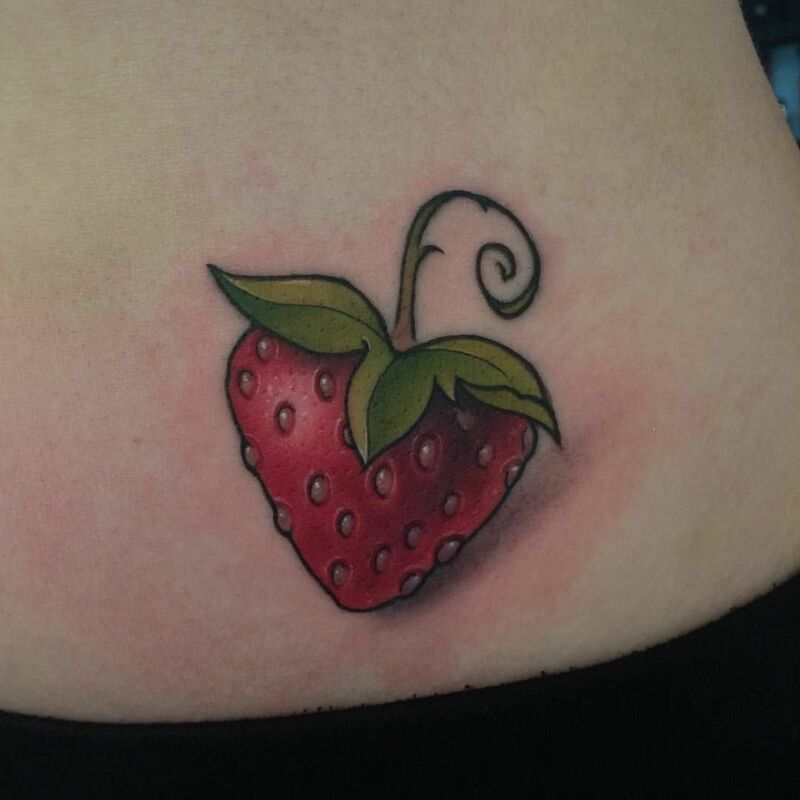 The playful and romantic vibes can easily be achieved with a strawberry tattoo small or big on any part of the body. 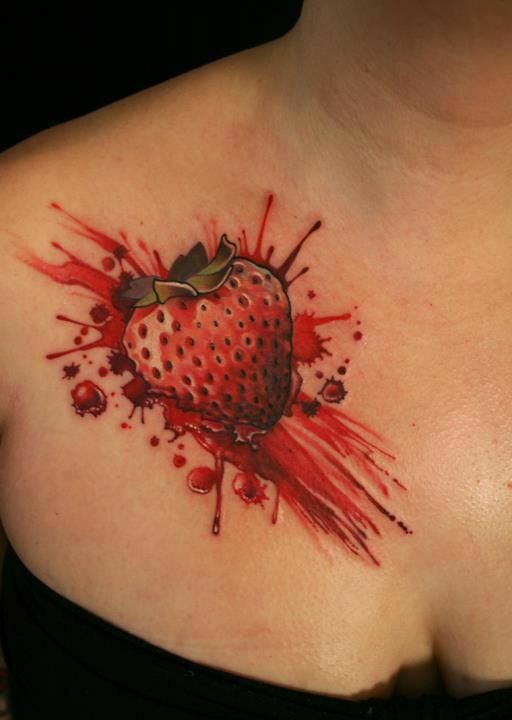 For people who want to bind their love in a more passionate and artistic way, matching strawberry tattoos are perfect! Strawberries are looked upon as a feminine fruit and that is why women are large consumers of strawberries and products including strawberries. 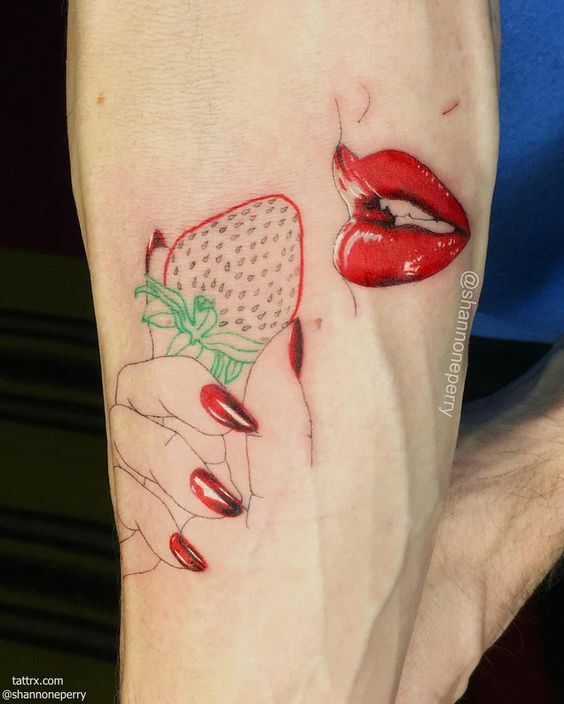 A woman might want to get a strawberry tattoo because it shows off her feminine side and shows off the romantic and cheerful traits of her personality. 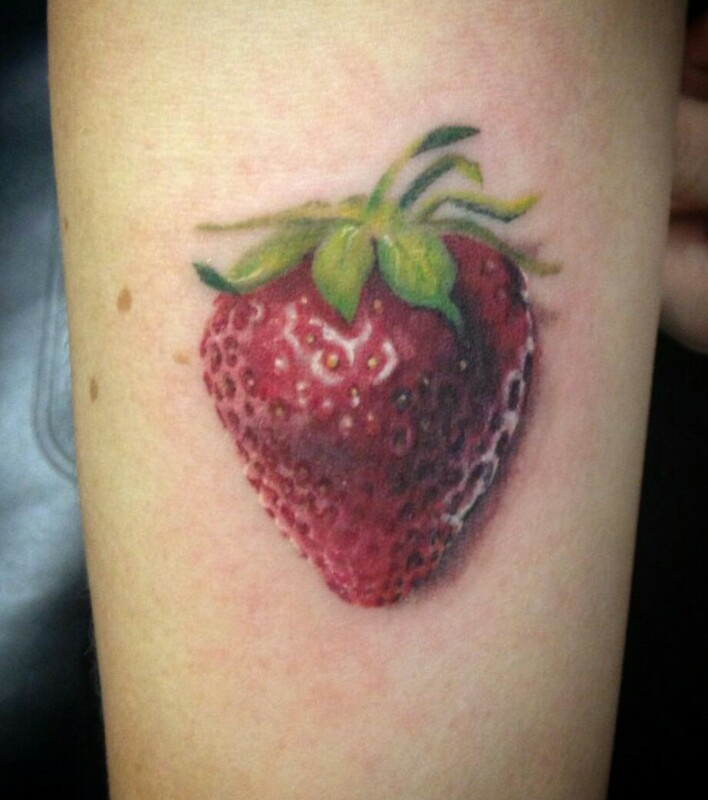 Strawberry tattoos are also linked to magical and mystical creatures. Many believe that strawberries are one of the favorite fruits of fairies and magical creatures living in the forests. 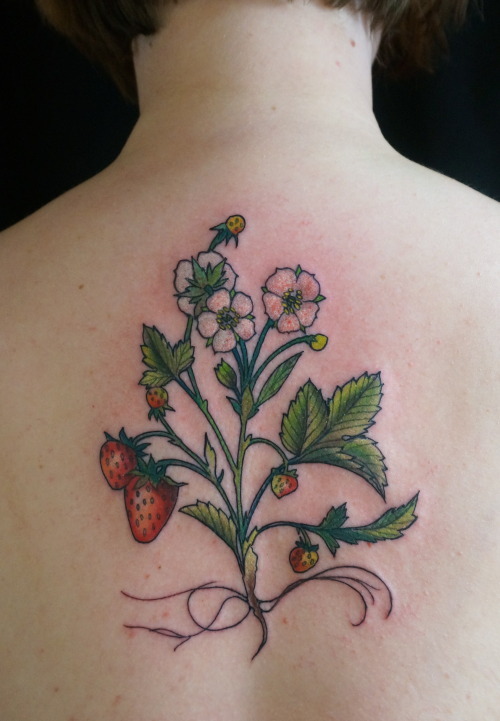 The association between strawberry tattoos and magical fantasy, is attracting for people who are true believers in fairytales. 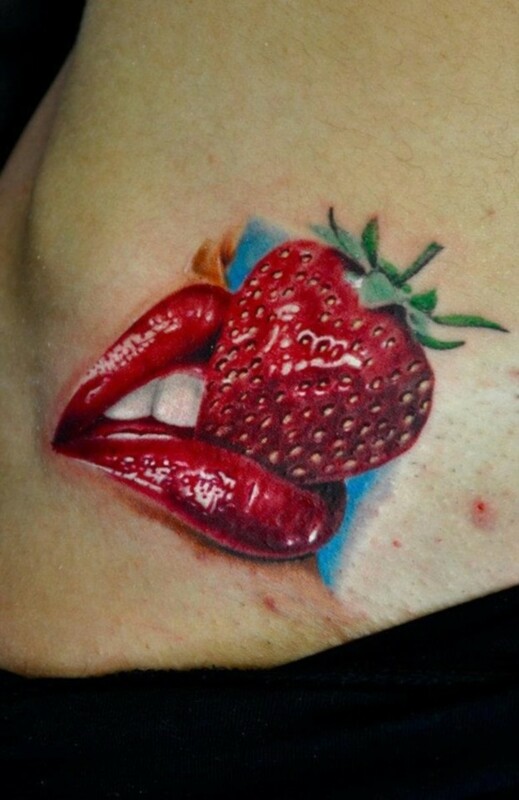 Women and even men in some cases like to have a strawberry tattoo inked on the body which reminds them about how the world is much more than it seems. 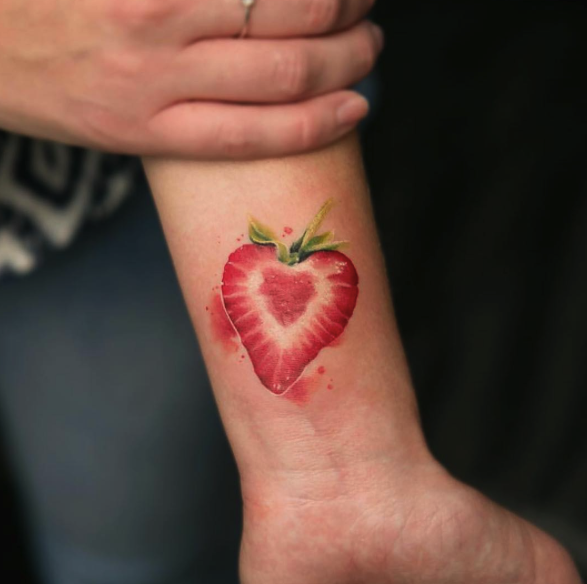 Now that you’ve been told about the various meanings and the imaginations behind a strawberry tattoo, let’s look at the best 20 strawberry tattoo designs and ideas which might inspire you to get one.